Uses 5/16″ and 1/2″ inside diameter tubing. 105 gallons per hour. This is an ideal size if you do not need too much head (vertical lift). 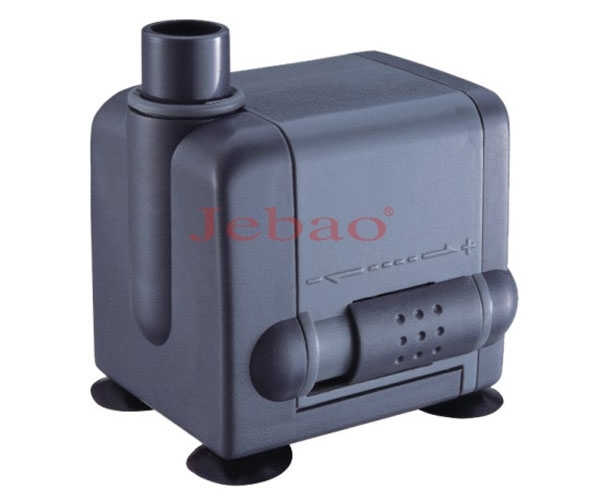 Quiet, well-designed fountain pump. This pump is truly meant for short fountains. If you need much water height, this pump won’t do. 25″ head, adjustable dial flow, nice quiet pump, 6′ cord.